Melei: Finally done for the evening! Good job Jen!! I didn't watch the news tonight, so don't know what weather you had?? I hope it was market weather!! We do have very similar taste in fabric. 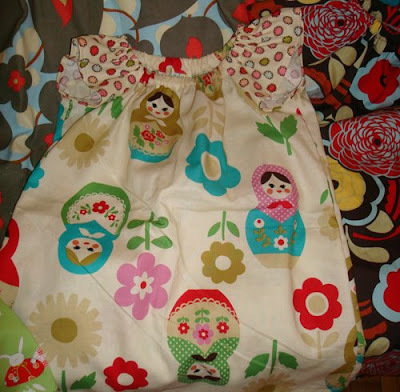 The first handmade dress that I bought for little Jaz was in the morning glory fabric, my nappy travel purse is in the mocha/flowers print (I used to mind Jaz one day a week last year). It looks like you have a Japanese inspired print too, which appears to be the same as one I bought Jaz a lounge suit in. More than just our names in common hey!! Jen, it just comes down to that we are both fabulous! hehe. The weather wasn't great so there just wasn't that many people around. It ended up not too bad though. 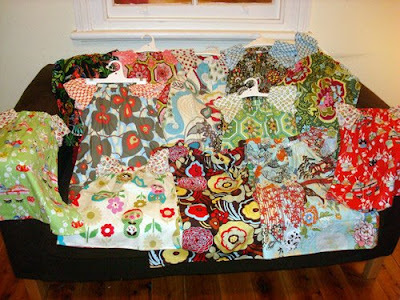 I'll try again next week :) - Oh, and the mocca fabric is one of my all time favourites (and i have many! ).